CCM JetSpeed FT350 Hockey Shin Guards - Senior is rated 4.8 out of 5 by 4. 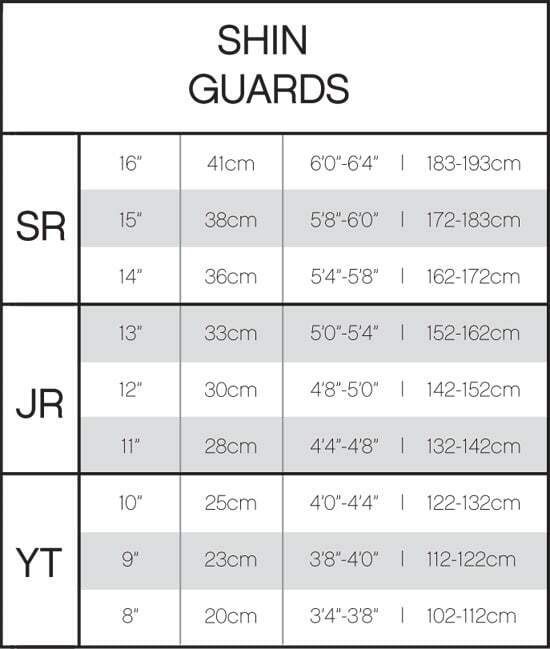 Coming in as the most affordable shin guard in the all new Jetspeed protection line, the Jetspeed FT350 shin guards are an excellent choice for beginner hockey players looking to join a new league. These shin guards offer a lightweight shell design with a hinge system for good mobility and protection. The calf guard uses PE foam for protection and is constructed with laminated fabrics. The anatomical shin caps with vented knee caps provide lightweight protection. For thigh protection, CCM uses PE foam to protect this vulnerable area of the leg. For the attachment points, CCM uses a nylon upper lock strap and a wide elastic calf strap for a comfortable and easily adjustable fit. The liner on the Jetspeed FT350 shin guards is made with PE foam and features a removable liner for easy maintenance and cleaning. The all new Jetspeed FT350 shin guards are the perfect beginner shin guard, offering good protection and a lightweight package. Calf Wrap: PE foam with laminated fabrics Protective material that wraps around the back of the calf. # of Straps: Nylon upper lock, wide elastic calf Number and type of straps used to keep the product in place during use. Rated 5 out of 5 by Miceli34 from Perfect shin pads I bought these shin pads for college hockey and I have taken many pucks amd slashes to the shins with these on and I feel nothing. They fit perfectly and amd extremely comfortable. I will continie to buy equipment from PureHockey. Rated 5 out of 5 by Phockey from Great for men’s league I play once a week in a men’s league and these are perfect for that.